Experience the exuberant energy of the Japanese shamisen, three-string fretless banjo, unleashed in the hands of its master Hidejiro Honjō. Young shamisen player Honjō was awarded the title of Cultural Envoy of Japan for 2018, thus becoming one of the youngest stars to ever receive this prestigious prize. His concert in Archa Theatre included in the NEIRO Unlimited series is part of his world tour connected to the award. 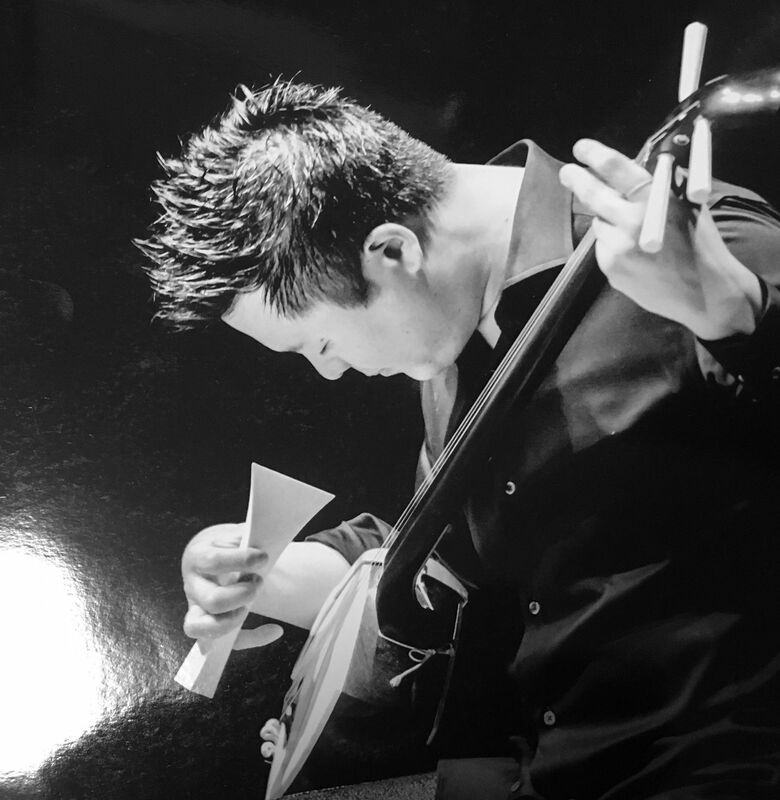 Hidejiro Honjō is a multifaceted instrumentalist – who improvises, plays traditional music, premieres new pieces, and stars with rock bands as well as symphony orchestras. At Archa Theatre, Hidejiro Honjō will perform a concert of new music for Japanese instruments together with Akihito Obama. Obama, an outstanding shakuhachi player, who is returning to Prague where he has performed at International Shakuhachi Festival Prague as well as alongside jazz legend Yosuke Yamashita at Archa Theatre. Beside the energetic compositions by Dai Fujikura, Shinji Takada and jazz inspired Miho Hazami, a new piece, Shadows of the Forgotten Ancestors, by Czech Jan Ryant Dřízal will be premiered at the concert in June. Furthermore, singer Annabelle Plum will make a guest appearance at the concert. NEIRO Unlimited is a concert series dedicated to presenting elite international musicians who use their regional instruments in contemporary music. It is organised by NEIRO Association for Expanding Arts. © 2019 neiro.org. All Rights Reserved.